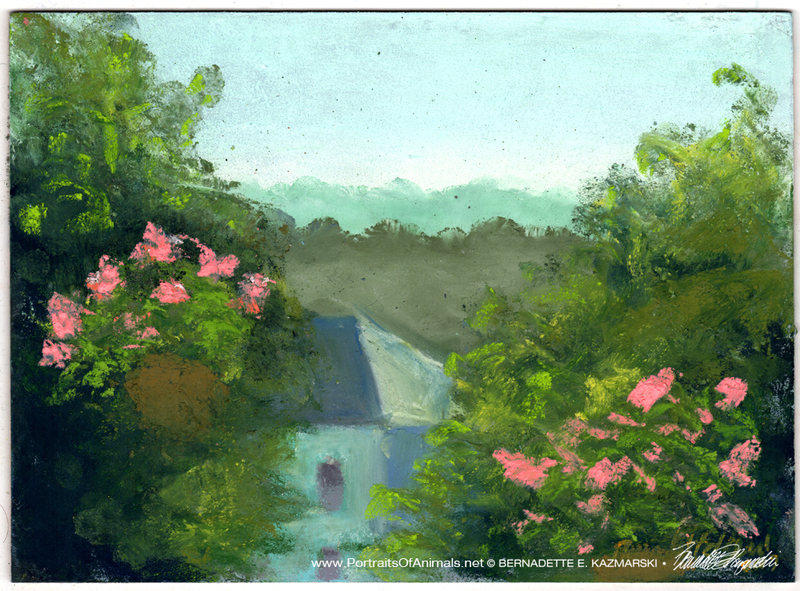 Summer Morning from the Deck, Pastel, 8″ x 11″, 2017. The original is framed in a 1-1/2″ solid wood white molded frame with no mat and digital, giclee and canvas prints are available. I was participating in Leslie Saeta’s annual “30 in 30” painting challenge in January 2017. This was my painting for day 2.